Achari Mutton Qeema recipe by Asma Salman at PakiRecipes.com. Achari Qeema has tangy flavor and taste due to a touch of pickle or achar and ketchup. let it cook, till becomes tender and a little brownish in colour. the matar before hand and then add it to the content). 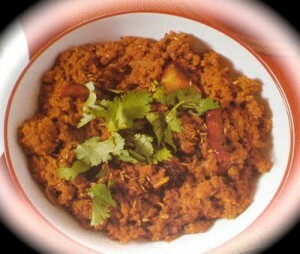 favourite achari keema is ready to serve..
For best results, garnish with dhania(corriander) and eat it with nan. There are 8 comment(s) for this recipe.